Kerrera Island has a fascinating history, Offering peaceful walks and stunning views it is incredible that a walk in a wild, remote landscape is just a ten minute boat ride from town. Book your ferry here. We will be opening on 24th April 2019 for Easter Weekend. We hope you will join us and try out our exciting new Scottish Tappas Menu. With 100 pontoon spaces and 30 moorings, an easily accessible diesel fuel berth, free wifi, shower block, and laundry facilities, our friendly small marina offers visitors a warm welcome. Our ferries run regularly in the season to Oban where all major facilities including restaurants, chandlery, banks and transport links are available. We would love to welcome you at The Waypoint Bar & Grill for a drink or a meal. Please book to let us know you are planning to join us! Closed on mondays. 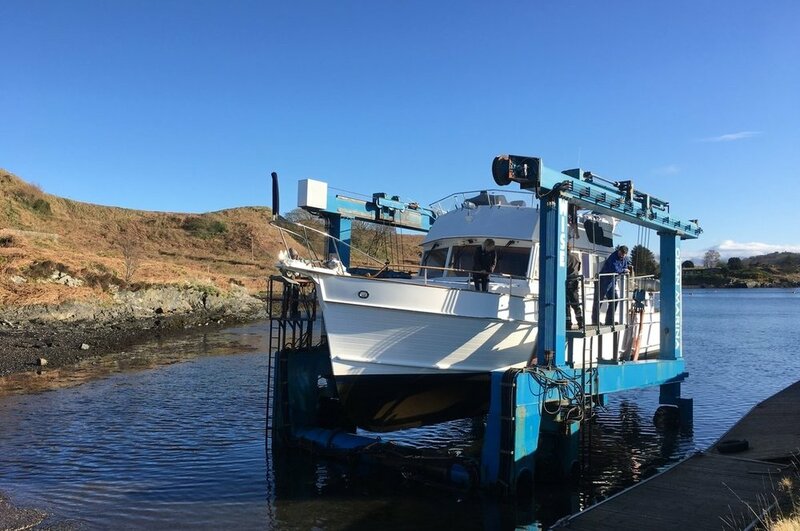 Oban Marina provides a wide range of facilities and services aimed at meeting all the needs of today's boat owners and keeping your boat in top condition. Announcing the arrival of our new water tank! Our new water management system! Book the passenger ferry from the North Pier in the centre of Oban, near the Tourist Information office.